We are a manufacturer company that meet the needs of the construction and mining industry and exports our products to many countries at the same time. High quality, affordable price, ergonomic design and years of experience have made Fabo Company the top brand in the world. Our products equipped with high engineering technology with CE and ISO 9002: 2010 standards.We offer qualified products with reasonable price. 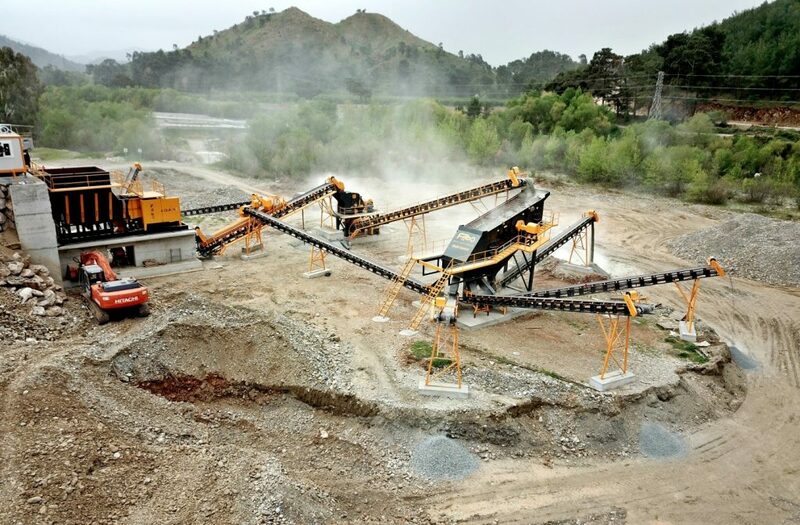 What Is Crushing And Screening Plant? What is Primary Impact Crusher? What is Mobile Crusher Plant? For our society following up the latest technology, could be difficult in some cases. But today’s technology is so fast that it can often be difficult to follow. The crusher machines that generate large stones, rocks, ore etc. into small pieces are generally called Crushing and Screening Plant. In particular, the rough materials obtained in stone quarries can be crushed to small sizes and used in asphalt roads or construction sectors. FABO manufactures and installs mobile and Stationary type Stone Crushing and Screening Plants according to customer requirements. Crushing and Screening Plants can be used in many sectors such as recycling, quarries and ore. Also it can be used in mineral beneficiation facilities and urban transformation. Thus, can be found an answer for the question of What is Crushing and Screening Plant. It is also possible that there are contradictions such as the question of What is Concrete Batching Plant. 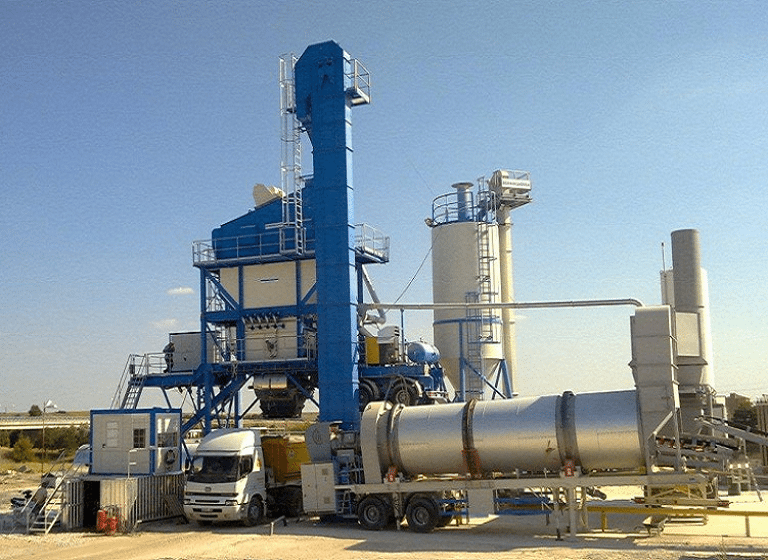 Concrete plants are named where ready-mixed concrete components which are cement, water, sand, gravel, crushed stone or aggregate type are stocked mixed with certain amounts and become ready-mixed concrete production and filled to the transmixers. 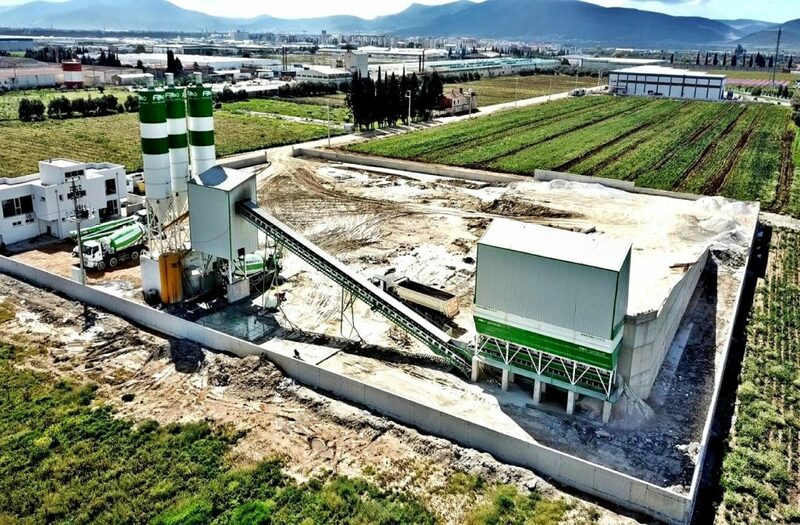 The concrete plant composed of mechanical, electronic, pneumatic and hydraulic systems and equipments which precisely weighs and carries the quantities of the materials of forming the concrete. These equipments constituting the concrete plant which includes; aggregate bunker, aggregate weighing bunker and conveyor, mixer feeding conveyor, cement weighing hopper, water weighing hopper, additive weighing hopper, cement silo, cement screw, mixer, and automation system takes part in. There are placed different types and capacities of Concrete batching Plants in market. It differs from each as Fixed, Mobile, Compact and Skipped Hoist. Mostly production capacity varies between 30m3 and 180m3 per hour. Nowadays it is so difficult to learn even the names of some of the manufactured machines because of the rapidly developing technology. But this word became most popular in this sector. It is also very easy to find answers to the questions of what the jaw crusher is. Jaw crushers are generally designed for the first stage to crush the hardest materials such as granite, basalt, gabbro etc. Hard rocks discharges into feeding bunker and with help of vibro-motors, feeding bunker feeds the jaw crusher. After crushing process it pours the material on the conveyor belt. Jaw crushers have a wide range of uses in the aggregate and mineral processing industry. Especially it is used to get gravel and various crushing processes in quarry materials. Impact crushers are the most preferred crushers to bring the medium hardness and hardest stones such a limestone, riverstone etc. to the desired size. Impact crushers used as primer crusher and secondary crusher can be preferred to obtain finer material than jaw crusher. Another feature of impact crushers is that abrasion parts can be replaced and that the crusher prolongs its life. Maintenance is easy with its hydraulic pistons. It is preferred by companies that will produce up to 600 tons. Fabo impact crushers offer low operating costs, with long life, fast and easy maintenance as well as strong performance. The new generation mobile crushers are at the top place of the most preferred machines in recent years with their easy and low-cost installation. Especially in recycling industry, marble wastes and these kind of properties are the reason for preference in the field. A complete plant; All the machines are installed on the trailer, saves the occupation space,enhances the working efficiency. Mobil Crushing Screening Plants are suitable for short-term work. The Mobile Crusher Plants are easy to transport and install. After the completion of the short-term work, it can be carried by a single truck head to other worksites and installation of the plant can be done on the same day. Firms choose between these facilities depending on their working time. 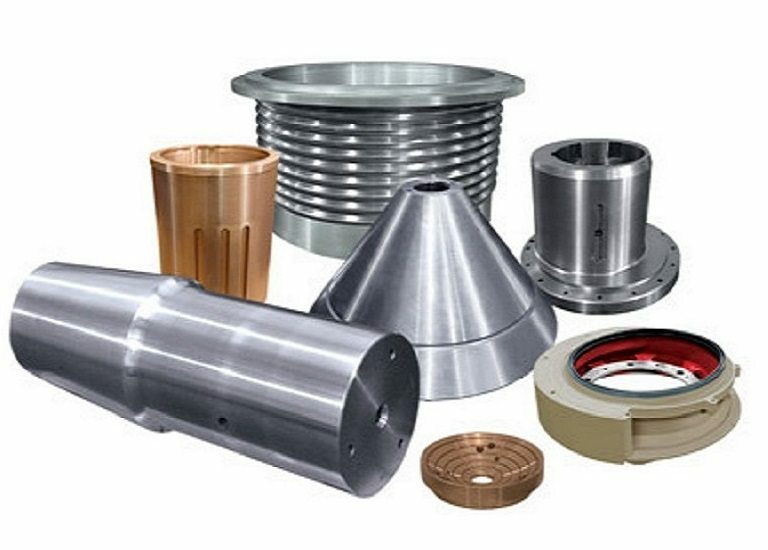 All these facilities can be produced with different capacities and different crushers. Movable crushing plants provides a new field of business opportunities for contractors, quarry operators, recycling and mining applications. It offers high efficient and low cost project plan without environment limit for the client. These machines specially designed to produce dust and sand. 4 pallet system rotors are used for the purpose of production. The pallets are reinforced with a straddle suppor system behind it. The crushing plates are mounted on the pendulum by means of a sliding system, by crushing the crushing plates against the pallets on the rotor and making high speed crushing. The pendules can be mechanically adjusted according to the desired product size. Pallets, crushing plates and liners can be chosen as chrome or manganese alloy according to the type of material to be used. All kinds of maintenance, repair and change operations can be easily done with the 180 degree opening covers in the body. FABO is a machinery manufacturer company has been established at İzmir province industrial site in 2003. 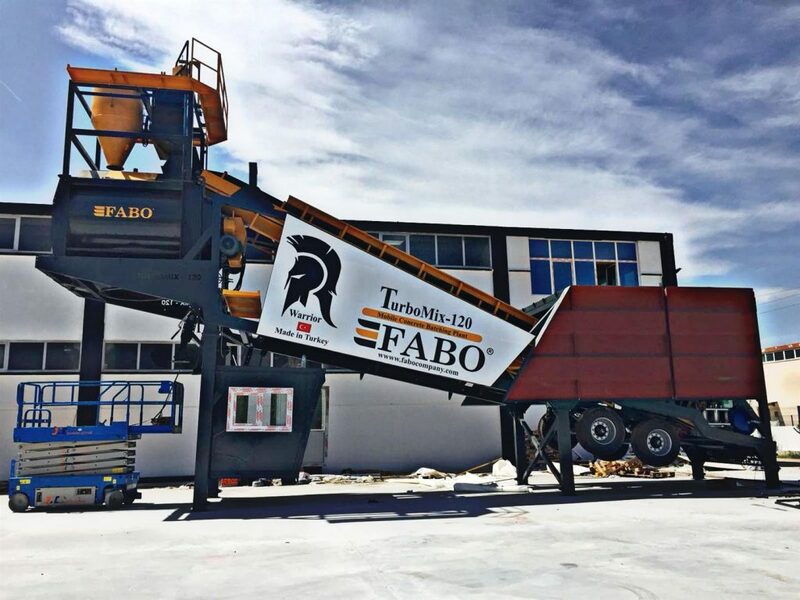 Since then, FABO mainly produces mobile crushing plants, fixed crushing plants, mobile and stationary concrete batching plants. Fabo has always been a pioneer in the machinery industry by quality-oriented manufacturing with Professional and experienced technical staff. 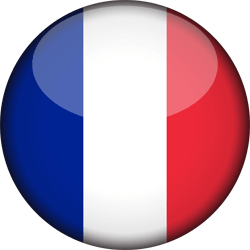 Besides constant customer services which FABO pay real attention. Among long years, FABO team worked with a lot of local and international construction machinery manufacturing companies around the world. Which help our company to gain a great experience. Since 2010 till now, FABO continues to provide its services at Yazibasi industrial site – İzmir city – Turkey. 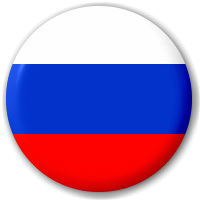 Our company has made a long successful journey with providing high quality and competitive prices besides a unique service summarized in focusing on after sales services, where we look forward to effective business partnerships. From this point, our company undertakes to provide the best practical and quick solutions when any problems ocur related to the project. Our products of crushing & screening plants and concrete mixing plants are manufactured with high precision and using the latest engineering technology. We also offer the most suitable equipment according to the environment and working conditions. Therefore, we obtain compatible equipment that works in harmony and efficiency at the highest level of production, which makes all kinds of services and spare parts easy and possible at any time. We are providing our services with team of expert engineers and professional technicians. 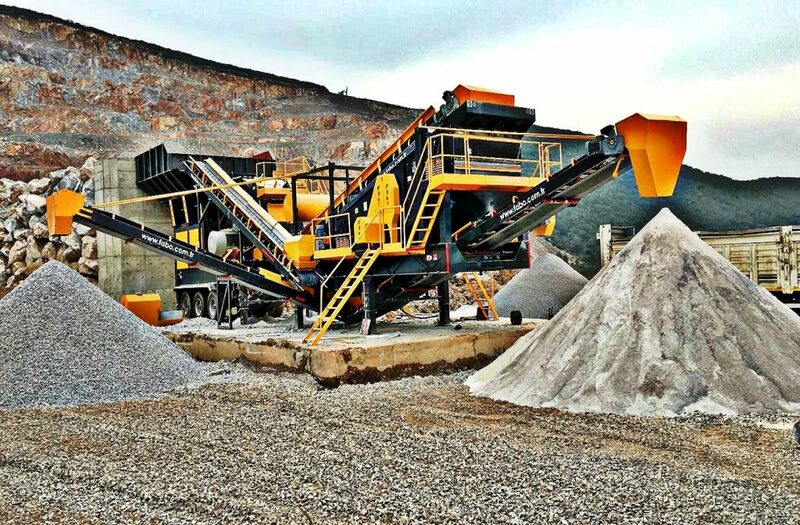 Our vision is to become a global brand in the field of crushers and concrete batching technologies, and to be able to provide these unique construction machines with cheaper prices in the future. And we see our mission is to help in creating projects that are beneficial to the environment and society, and to keep an internal working environment where workers perform their duties with happiness and effectiveness while protecting the highest quality of products. With this approach, FABO always aims to provide a problem-free projects. Fabo Company, which has taken its place as a required company in this sector, is now looking through its high objectives, to introduce itself more in international level. This is clearly reflected in our products and services which are made according to international quality management systems. 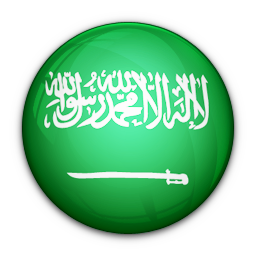 In addition to the continuous research and audit on the policy and quality systems to provide always the best. As important as quality, Fabo gives importance to the speed and reliability of the work, not only by maintaining the existing conditions but by constantly seeking growth from all directions and providing new services. With Teamwork based on analyzing the causes and outcomes of the events in order to reach our objectives in practical and rigorous ways at the same time. What is a crusher plant? Those days, most of stony material from quarries are used in general and road constructions. But before they can be used, this material should be crushed into smaller pieces to be suitable for these Works. This operation is being done by heavy work machines that called crushing and screening plants. By those plants you can get any sizes are required of material. Those machines are available in many types, sizes, and different technic specifications which make them able to crush any type of material regardless of its hardness level. Crusher plants are designed according to type of material to be crushed, its sizes and hardness level. In addition to these things, crushers showing difference by the used crushing systems and speeds. And by the work environment of these machines and the work they do, the most selected types are mobile crusher models, portable on wheels or tracked crushers. Where they are used in terrible terrain and places that are not suitable for setup a stationary crusher plant, mobile crushing plants provides easy setup and operating using hydrolic system, and also easy portability between work sites. These plants can be easily operated by one person, and also can be moved using one truck head, these things brings an important features to the plant by minimizing time and effort in order to make more gains.